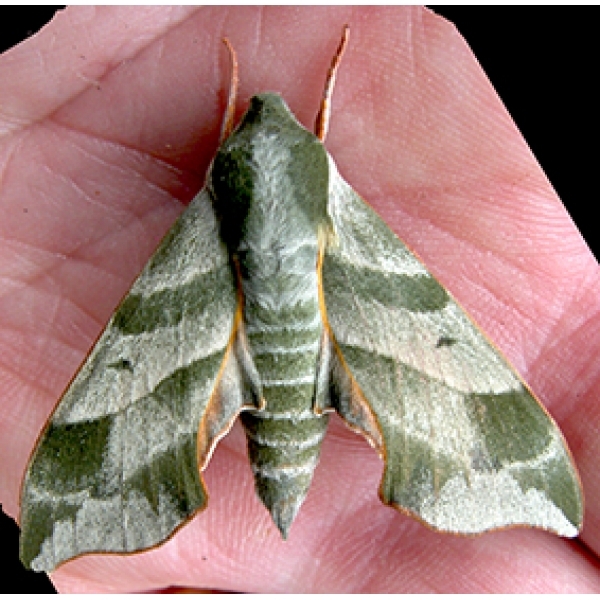 A very attractive little North American Hawkmoth. 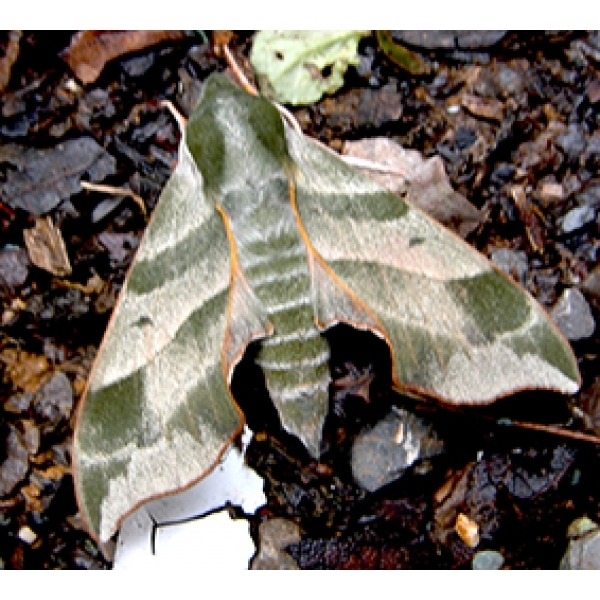 The moth is beautifully patterned in greens and greys, with orange hindwings and a very streamlined shape. 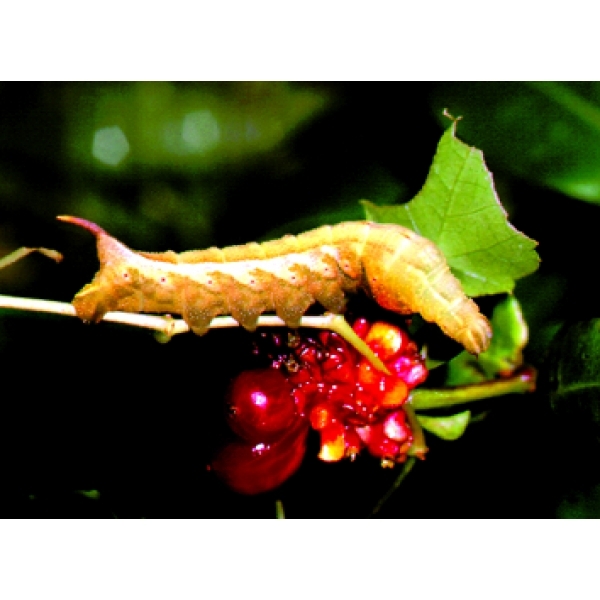 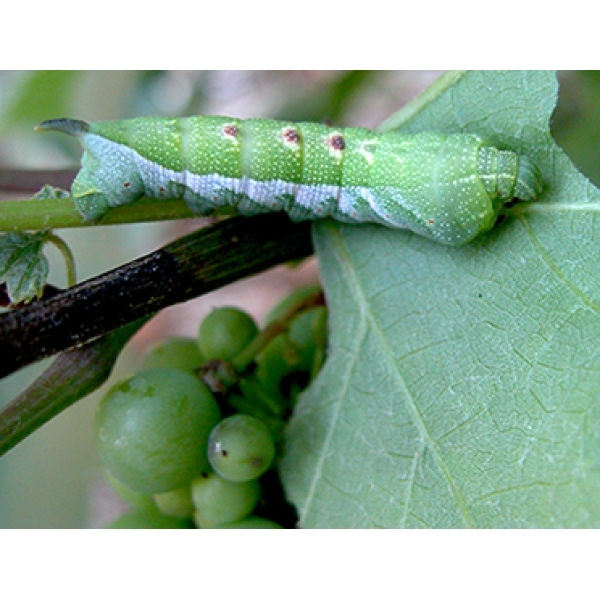 The caterpillar feeds on Vine and Virginia Creeper. 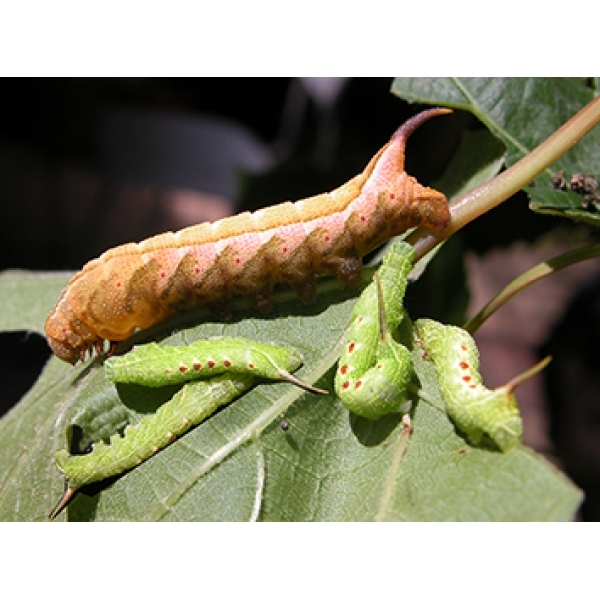 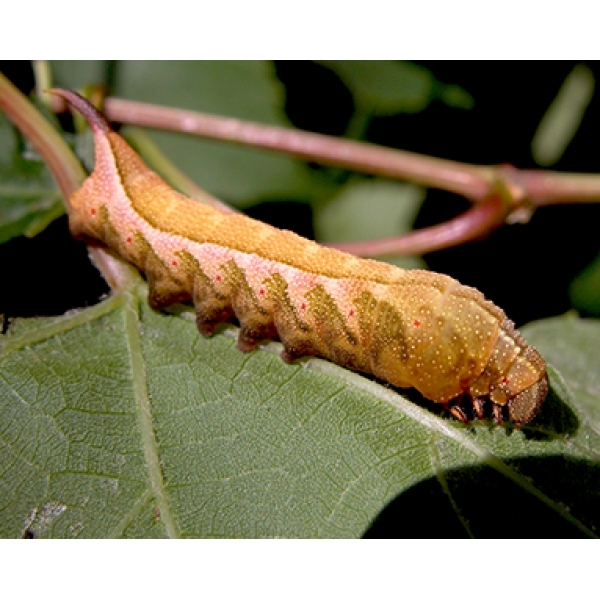 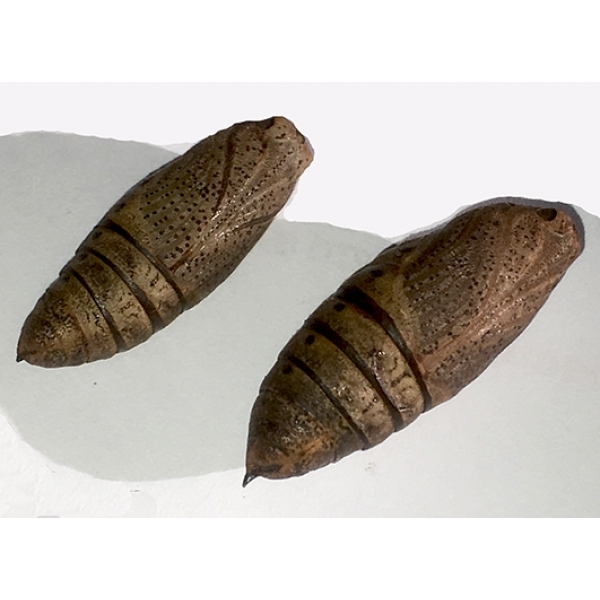 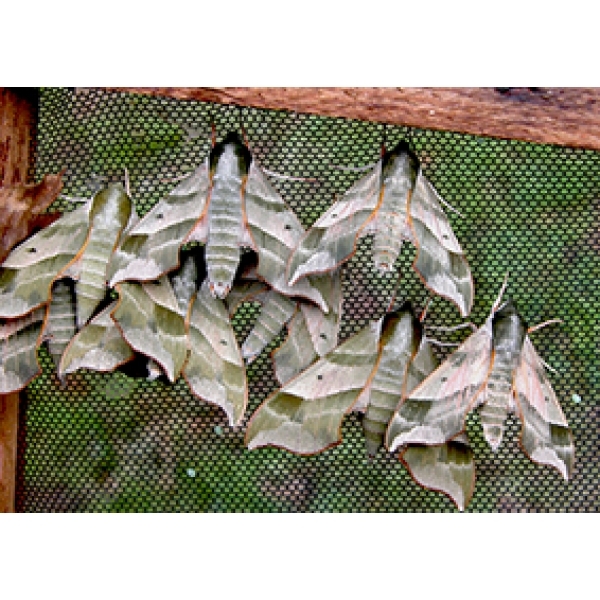 Large larvae have a curious shape and markings, with swollen segments behind the head, suggesting the head of a snake. 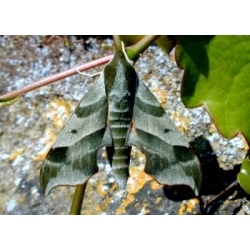 There are green and brown forms, with intermediate colours.